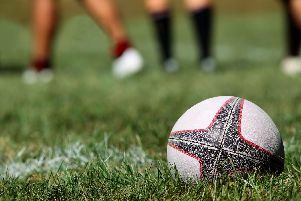 Doncaster RLFC will kick off their 2019 Betfred League One campaign at Newcastle Thunder on Saturday in confident mood. That is the verdict of prop Ryan Boyle, as the Dons go in search of promotion back to the Championship at the fourth time of asking. Richard Horne’s side have warmed up for the new campaign with friendly defeats to Super League sides Leeds Rhinos, Hull FC and London Broncos. But Boyle is convinced that the squad are in great shape as they bid to improve on last season’s play-off defeat to Workington Town. “Even though we conceded 60 points or more in all three pre-season games I thought that we stuck in there and there were periods in all three we can take positives from,” said Boyle. “I thought we showed a good attitude throughout the pre-season campaign and we produced some really good try-line defence at times. “We didn’t throw the towel in in any of the games and we’ve no reason to get down on ourselves, we were simply beaten by bigger, faster and fitter teams. “We’ve had a very structured pre-season working with new strength and fitness conditioner in Calum Christopherson. Doncaster face a baptism of fire over the first month of the season when they will tackle several sides expected to compete for the title. With no franchise team in League One this season, and Bradford Bulls having bounced straight back to the second tier, the Dons might not get a better opportunity to regain Championship status. “We’ve got a tough start to the season up at Newcastle,” said Boyle. “They’ve made some good signings and have made no secret of their ambitions. “It doesn’t get any easier over the next few weeks either. 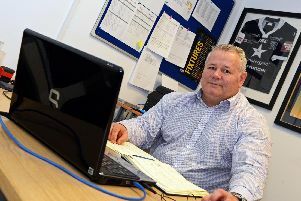 “If we’ve got any ambitions of going up this season, which we have, then we’ve got to be beating the likes of Newcastle, Hunslet, Workington and Whitehaven because they are all expected to be up there challenging for the automatic promotion place. “Unless you get off to a good start you find yourself having to rely on other teams to do you a favour at the back end so it’s very important that we pick up some early wins in what are effectively four-pointers. “But we need to be at our best throughout the season – and the coaches have said that they will pick the strongest team every week – and show some consistency. “We set off well last year then had a mid-season slump before finishing with ten successive wins. “Hopefully we can carry on from where we left off in the league last season and emulate the likes of York and Bradford and get up into the Championship where we all want to be playing. “We don’t want to be playing in League One,” he added. “We said it this time last year and nothing has changed apart from the fact that we are even more determined after what happened last season. - The Dons will be at home to fellow League One side Coventry Bears in the third round of the Coral Challenge Cup. The game will be played over the weekend of March 9-10.